Journal al-muqaddimah is an academic journal that publishes the results of postgraduate students studying either at the master or PhD level. The published article covers all aspects of the field of history studies and Islamic civilization. 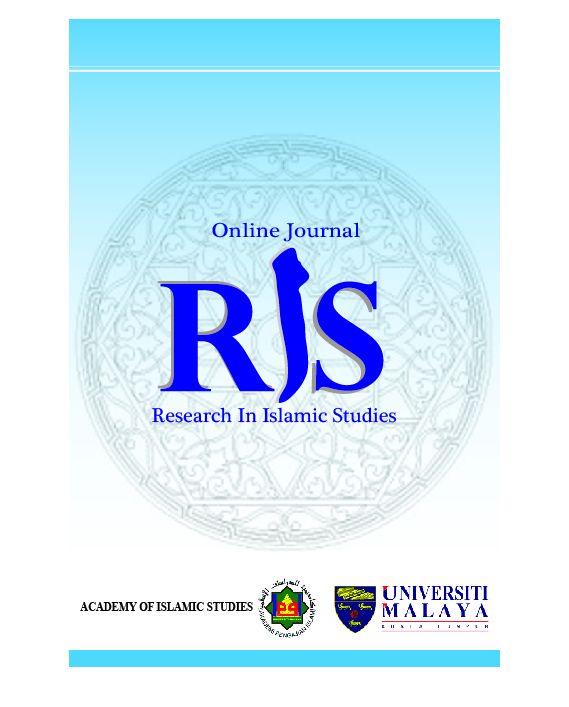 The Online Journal of Research in Islamic Studies (RIS) is a blind peer-reviewed journal published two times a year (June and December) by the Academy of Islamic Studies, University of Malaya. RIS welcomes manuscript submissions that cover multidisciplinary, interdisciplinary and transdisciplinary studies associated with Islamic studies, which may range from (but not limited to) science, technology, medicine, health, history, geography, philosophy, law, literature, sports, architecture, psychology, language, education, environment, humanities, sociology, ethics, and comparative studies. Jurnal Peradaban merupakan jurnal inter disiplin terbitan tahunan yang berwasit oleh Pusat Dialog Peradaban, Universiti Malaya, yang menyiarkan makalah yang berfokus kepada dimensi peradaban. Sarjana, pakar, penyelidik, pengamal dan pelajar siswazah dijemput menerbitkan hasil penyelidikan asli, makalah ulasan dan kritikan ilmu tentang antara-peradaban/antara-tamadun, falsafah, bahasa, ilmu kemanusiaan dan kemasyarakatan, ilmu pengetahuan atau sains dan teknologi sangat dialu-alukan. 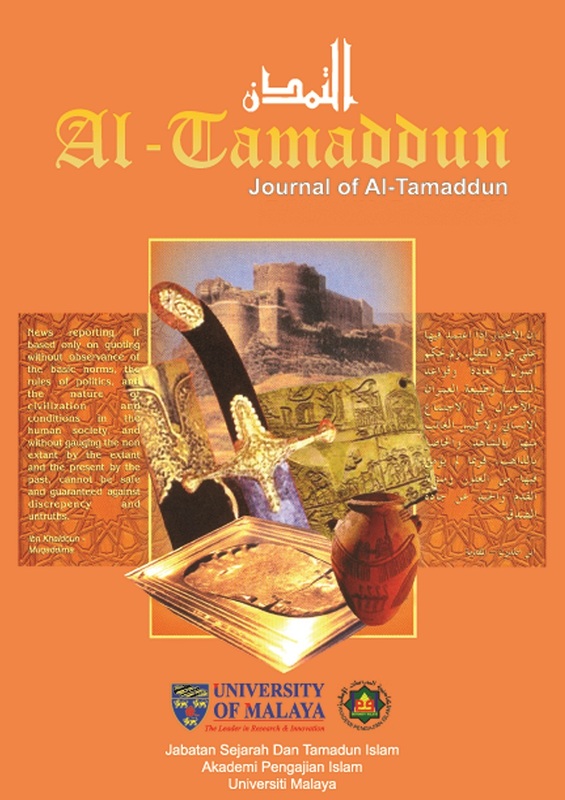 Journal of Al-Tamaddun is an international refereed academic journal published by the Department of Islamic History And Civilization, Academy of Islamic Studies, University of Malaya, Kuala Lumpur. The Journal started with one issue per year, but now it is published biannually from 2012 onward (in June and December). Among of its aims is to be a platform for academicians to contribute and share their research works and writings regarding Islamic history and civilization. Furthermore, it aims to foster excellent research particularly in this area. It is a peer review and open access journal. It publishes articles and research papers pertaining history, civilization, thought, system and development from Islamic perspective in Malay, English and Arabic. The Journal is indexed by Emerging Sources Citation Index, Index Islamicus, EBSCOhost, UlrichsWeb, Open J-Gate, DOAJ, Malaysian Citation Index (MyCITE) and subsequently indexed by Google Scholar. The University of Malaya Centre for Civilisational Dialogue (UMCCD) is pleased to announce that the publication of The Journal of Katha (KATHA) is entering its 11th year. KATHA is a peer-reviewed, interdisciplinary journal with readership throughout the field of humanities, social and natural sciences. It provides a platform for scholars, experts, researchers, practitioners, and students to publish original research, review papers, and other scholarly works. The journal invites research articles, theoretical papers, as well as book reviews touching upon any aspect of intercivilisations or intercultural discourses on religions, philosophies, languages and knowledges or sciences. It welcomes manuscripts written in English. 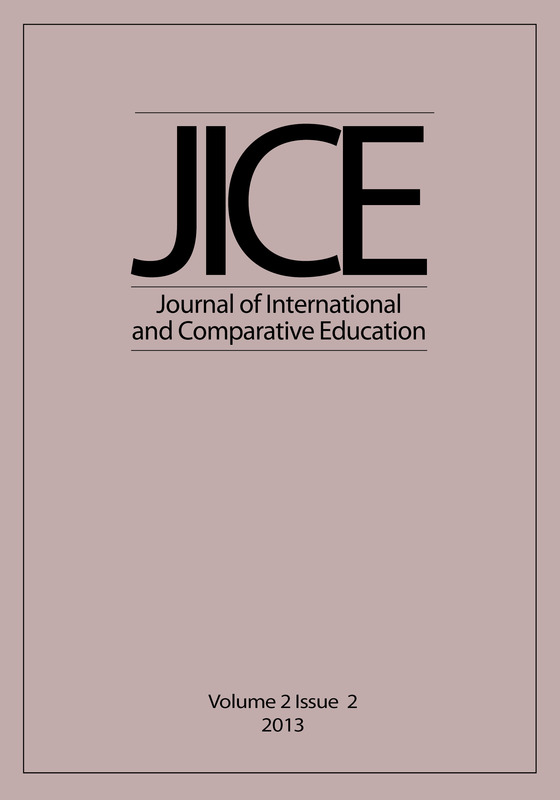 The Journal of International and Comparative Education (JICE) is an open-access journal which focuses on the emerging role of international and comparative education. JICE publishes peer-reviewed research and critical/theoretical reviews of issues in education as presented from a number of locations both at international and country levels. JICE provides theoretical and practical importance and relevance to scholars, policy-makers and practitioners alike with interest in the field of international and comparative education. 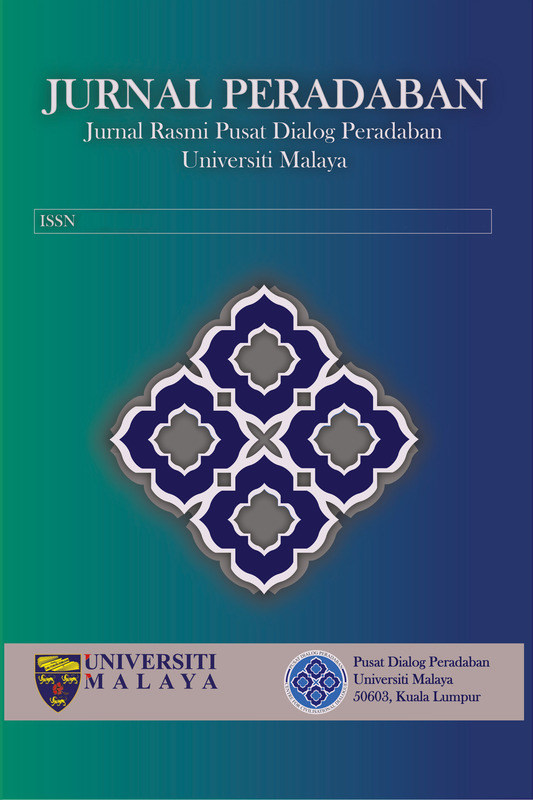 Jurnal Syariah is a multidisciplinary academic journal published semiannually by the Academy of Islamic Studies, University of Malaya since 1993. 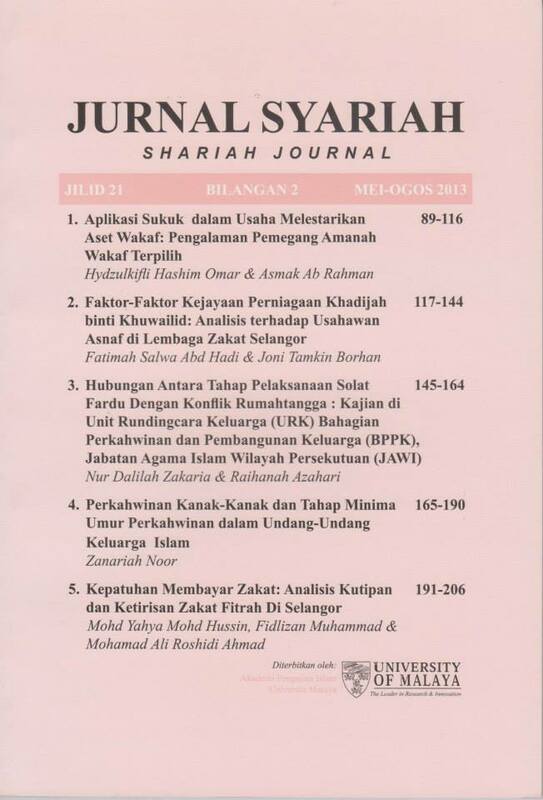 The Jurnal Syariah provides a significant platform for scholars to publish writings on Shariah Studies in its classical and contemporary perspectives. This includes the discussion on fiqh and its jurisprudence, economics, law, political sciences, public administrations and social Sciences. The journal welcomes submission of articles, research papers, report on Shariah court cases and book reviews in the field of Shariah studies. Since 2008, Jurnal Syariah has increased its publication to thrice a year. Kekal Abadi was first published in March 1982 as Volume 1, number 1 and was published quarterly until volume 16 (1997). However, Volume 17 (1998) and Volume 18 (1999) were published as single issue volumes. From Volume 19 (2000) onwards, Kekal Abadi continued to be published twice yearly but Volume 24 (2005) and Volume 25 (2006) were again published as single issue volumes. We made a conscious decision to publish electronically and started this with Volume 30, number1 (2012). From Volume 31 (2013), the Library only publishes an electronic copy of Kekal Abadi which can be acccessed from this web page. The Malaysian Journal of Economic Studies (previously known as Kajian Ekonomi Malaysia) is published jointly by the Malaysian Economic Association and the Faculty of Economics and Administration, University of Malaya. 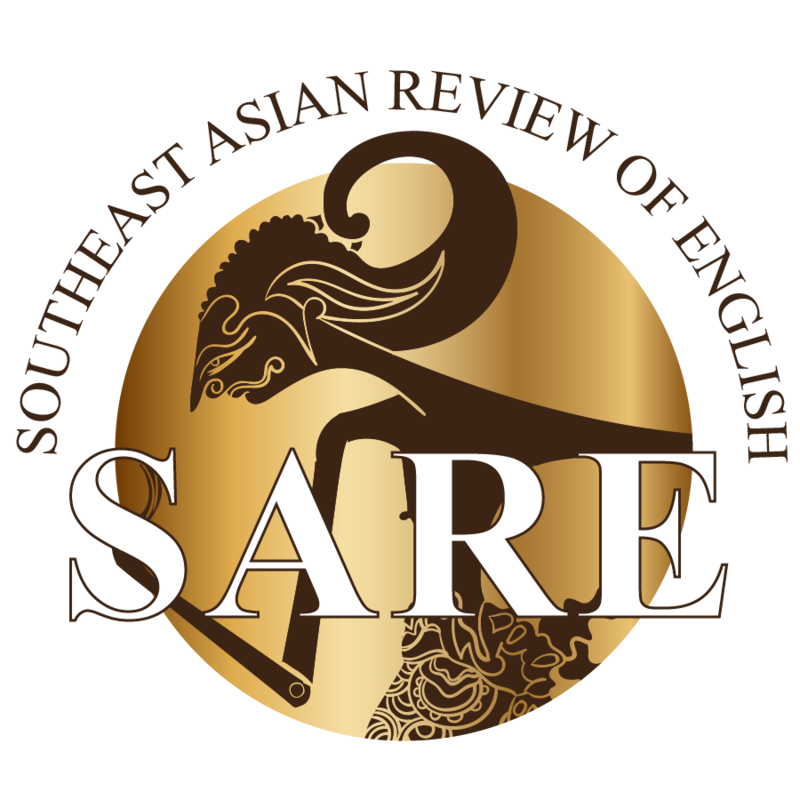 SARE: Southeast Asian Review of English is an international peer-reviewed journal founded in 1980. It publishes scholarly articles, interviews, reviews, and other valuable and lively interventions. Serving solely as an open access electronic journal from 2016, SARE aims to be a key critical forum for original research and fresh conversations from all over the world on the literatures, languages, and cultures of Southeast, South, and East Asia. It particularly welcomes theoretically-informed articles on the literary and other cultural productions of these regions. SARE has been committed from its inception to featuring new or unpublished poems and short fiction. International Online Journal of Educational leadership (IOJEL) is a double-blind peer-reviewed open access journal which is published twice a year, in January and July in English. This journal published empirical, conceptual, and review papers of exceptional quality that contributes to the theoretical and practical discussions of educational leadership thinking and practices. It provides a platform for deliberations and exchange of knowledge among educational leadership scholars and practitioners to discuss issues and developments in leadership for schools, educational management, educational organizations, and higher education. IOJEL accepts manuscripts in any mode of inquiry (e.g., positivist, interpretative or critical approach) with qualitative, quantitative, or mix method that has the potential to contribute to the field of educational leadership. 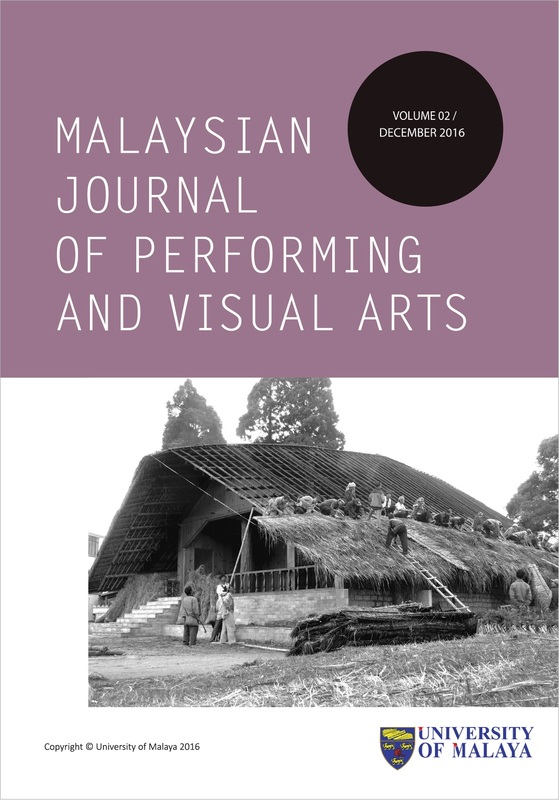 The Malaysian Journal of Performing and Visual Arts is a new, Open Access, fully peer-reviewed, research journal that focuses on the Asian performing and visual arts. It is a forum for scholars in the fields of Asian music, dance, theater, and fine arts. Published by the University of Malaya Cultural Centre, it appears once a year in December. 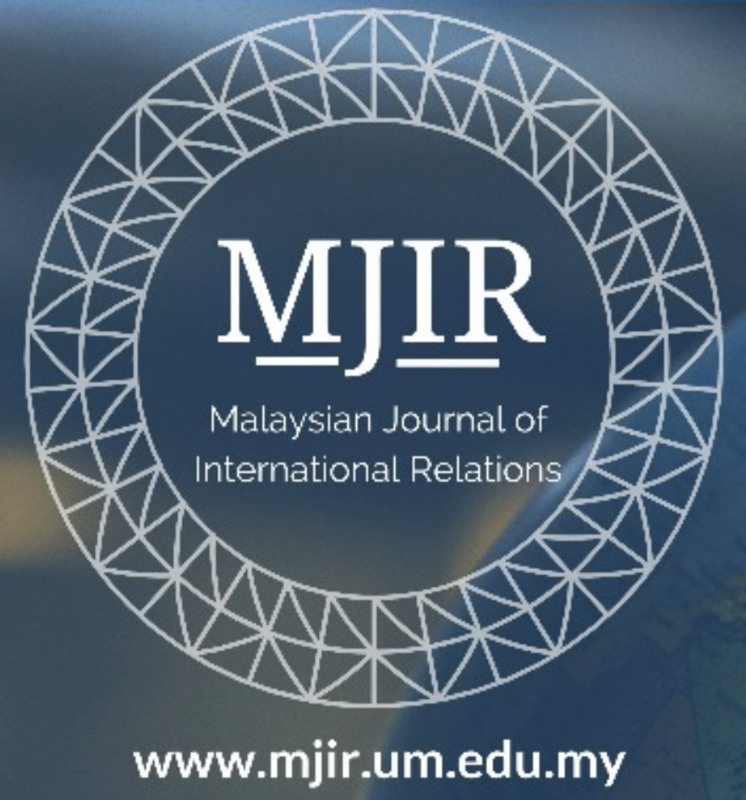 As an Open Access online e-journal, readers can obtain hard copies on demand, as well as a projected global dissemination through the open access policy on the University of Malaya ejournal website. We invite submissions of original articles from the entire scope of Asian performing and fine arts fields. 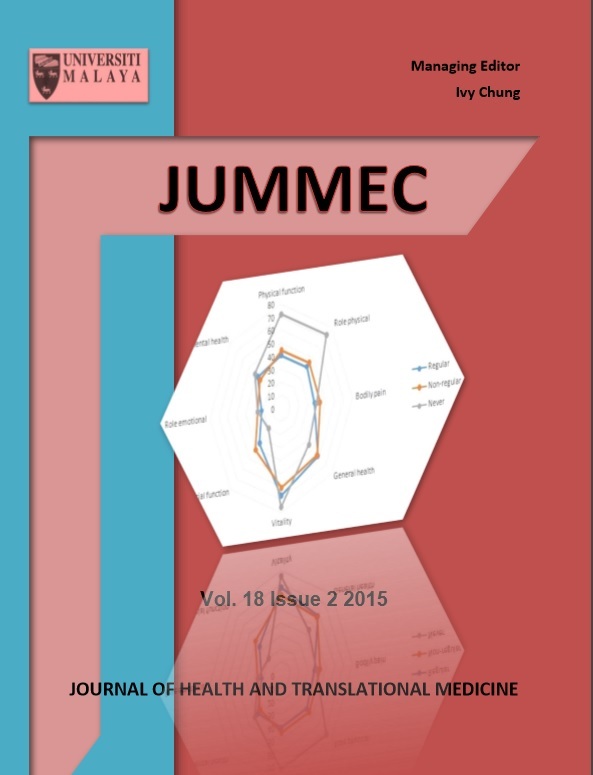 E-ISSN: 2462-1919 ; Print ISSN: 2462-1900 Our journal is currently indexed with RILM, MyJurnal. The journal encompasses articles (4-8 articles per issue), books and audio/video reviews, and notes on current research by scholars in the related arts fields. It is published in English and is issued annually in the month of December in online format with hard copy on demand. This journal is blind refereed. For submission see Information for Authors, and Submission Rules. 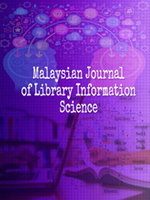 The Malaysian Journal of Library and Information Science ​​(ISSN: 1394-6234) is published three times a year in April, August and December by the Faculty of Computer Science and Information Technology, University of Malaya. The journal publishes original research articles in the field of library and information science (LIS) as well related domains that encapsulate information and knowledge. It also encourages contribution about professional policies, practices, principles and progress in the LIS fields. The journal aims to provide a forum for communications amongst LIS professionals especially within the Asia Pacific region, to introduce new concepts, methodologies, systems and technology. Between 1996 and 2008 the journal was published both in print and electronic. From 2009 onwards only the electronic version has been made available (https://ejournal.um.edu.my/index.php/MJLIS). The journal is being indexed and abstracted by Clarivate Analytics' Web of Science (Q3) and Elsevier's Scopus (Q2). Jurnal Fiqh merupakan jurnal yang diterbitkan setiap tahun oleh Jabatan Fiqh dan Usul, Akademi Pengajian Islam, Universiti Malaya. Objektif utamanya adalah untuk menyediakan satu forum akademik bagi membincangkan isu-isu fiqh dan usul fiqh kontemporari serta isu-isu lain yang berkaitan. 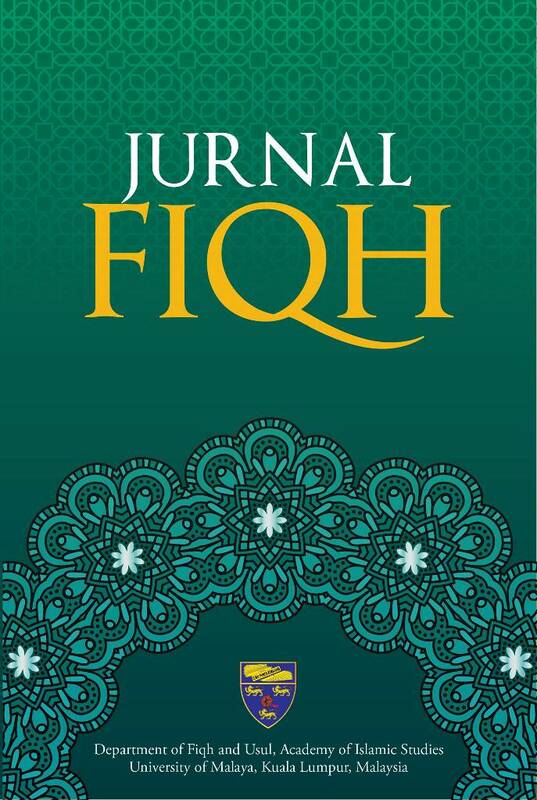 The Jurnal Fiqh is a refereed journal published annually by the Department of Fiqh and Usul, Academy of Islamic Studies, University of Malaya. Its main objective is to provide an academic forum to discuss contemporary fiqh and usul fiqh issues as well as other issues related to fiqh. Jurnal Pengajian Media Malaysia, JPMM (Malaysian Journal of Media Studies, MJMS) is a peer reviewed interdisciplinary journal in media and communication studies, published twice a year, Jun and December. Contributions of research articles, theoretical papers, concepts paper as well as article/ book reviews in media and communication studies and related fields are welcomed. The journal provides an intellectual venue for academics, postgraduate students and practitioners in the field of human services to debate on the various issues in the area of studies aforementioned. Authors can submit their manuscripts in either English or Malay language. JPMM/MJMS is indexed in Google Scholar, the Malaysian Citation Centre and MyCite Citation Report. 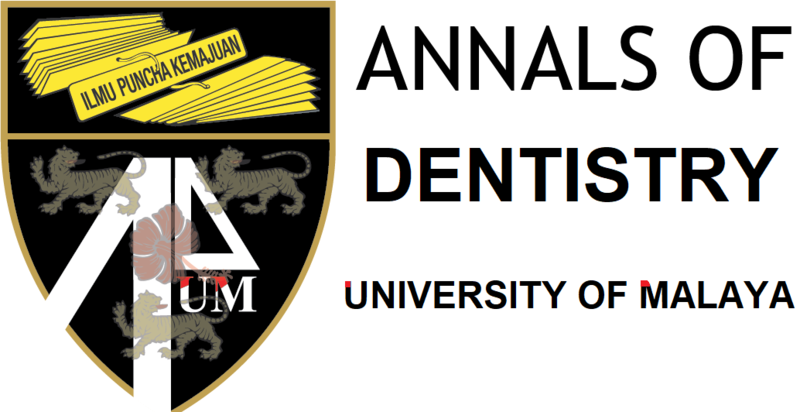 Jurnal Usuluddin (ISSN: 1394-3723, E-ISSN: 0128-0708) adalah jurnal akademik berwasit dwi-tahunan yang diterbitkan oleh Akademi Pengajian Islam, Universiti Malaya, Kuala Lumpur. Ia menerbitkan makalah ilmiah dalam bidang Akidah dan Pemikiran Islam, Pengajian al-Qur'an dan al-Hadith, Sejarah dan Tamadun Islam serta Dakwah dan Pembangunan Insan dalam bahasa Melayu, Inggeris dan Arab. Journal of Usuluddin (ISSN: 1394-3723, E-ISSN: 0128-0708) is a referred biannual academic journal published by Academy of Islamic Studies, University of Malaya, Kuala Lumpur. 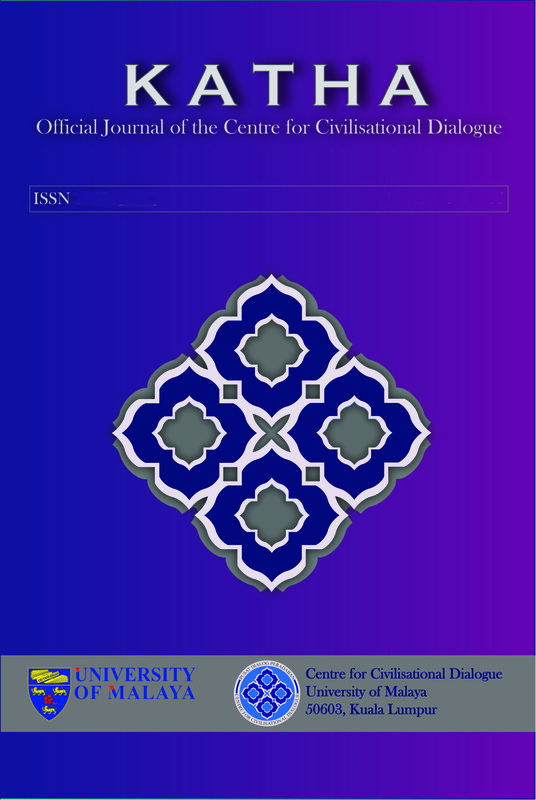 It publishes scholarly articles on `Aqidah and Islamic Thought, Qur'anic and Prophetic Tradition Studies, Islamic History and Civilisation, Da`wah and Human Development in Malay, English, and Arabic. مجلة أصول الدين هي مجلة علمية محكمة تصدر مرتين في السنة عن أكاديمية الدراسات الإسلامية، جامعة ملايا، بكوالا لمبور. تنشر المجلة مقالات علمية في العقيدة والفكر الإسلامي، والدراسات القرآنية والحديثية، والتاريخ والحضارة الإسلامية، والدعوة والإصلاح الإنسانية بالملايوية والإنجليزية والعربية. JATI-Journal of Southeast Asian Studies is a multi-discipline peer-reviewed journal on Southeast Asia published annually by the Department of Southeast Asian Studies, Faculty of Arts and Social Sciences, University of Malaya, Kuala Lumpur. This journal is double-blind review concerned with research results in the social sciences and humanities in the area of Southeast Asia. 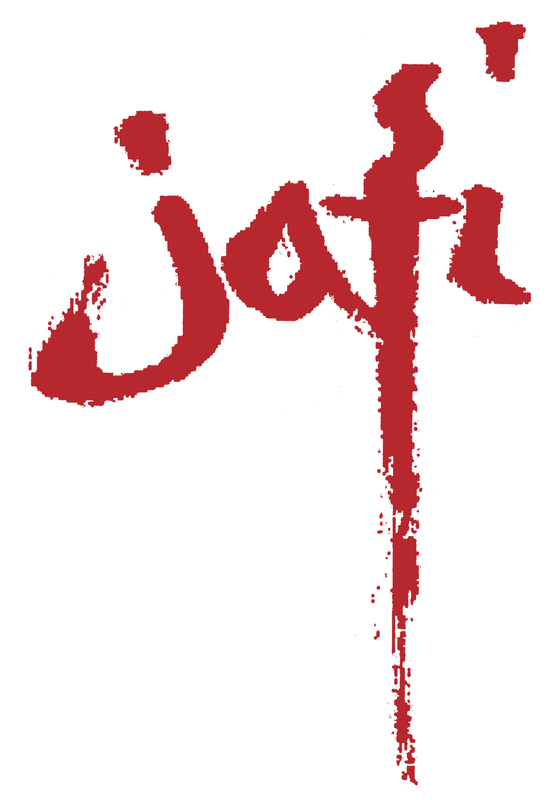 JATI is indexed in Web of Science (ESCI), MYCite and UDLedge: Social Science & Humanities Citation Index (SS&HCI). Contributions preferable in English should not exceed 8000 words for the full paper, 5000 words for review essay and 1500 words for a book review. All research papers must include literature, theoretical framework and methods. All citations and references must follow APA style. 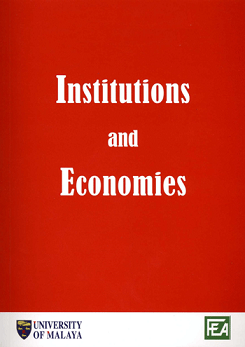 Institutions and Economies is a peer reviewed journal published by Faculty of Economics and Administration, University of Malaya. The journal is published four times a year, in January, April, July and October. Besides standalone articles, the journal publishes review articles, comments, book reviews and research notes. Only original articles that are not under consideration by other publishers are welcome. Special issues are also welcome but interested special issue editors must submit a proposal to the Deputy Editors for consideration. The journal is indexed in SCOPUS, IDEAS, MYCite, ECONPapers, ASEAN Citation Index (ACI) and EBSCO. Institutions and Economies is a recipient of the CREAM Award 2016 by the Ministry of Higher Education Malaysia. AFKAR - Jurnal Akidah & Pemikiran Islam (ISSN: 1511-8819, E-ISSN: 2550-1755) adalah jurnal dwi tahunan antarabangsa yang dinilai, diterbitkan oleh Jabatan Akidah dan Pemikiran Islam, Akademi Pengajian Islam, Universiti Malaya, Kuala Lumpur. Ia menerbitkan makalah dan kajian ilmiah berkaitan Akidah dan Pemikiran Islam merangkumi bidang kalam, falsafah, tasawwuf, perbandingan agama, mantik dan pemikiran Islam di Alam Melayu dalam bahasa Melayu, Inggeris dan Arab. 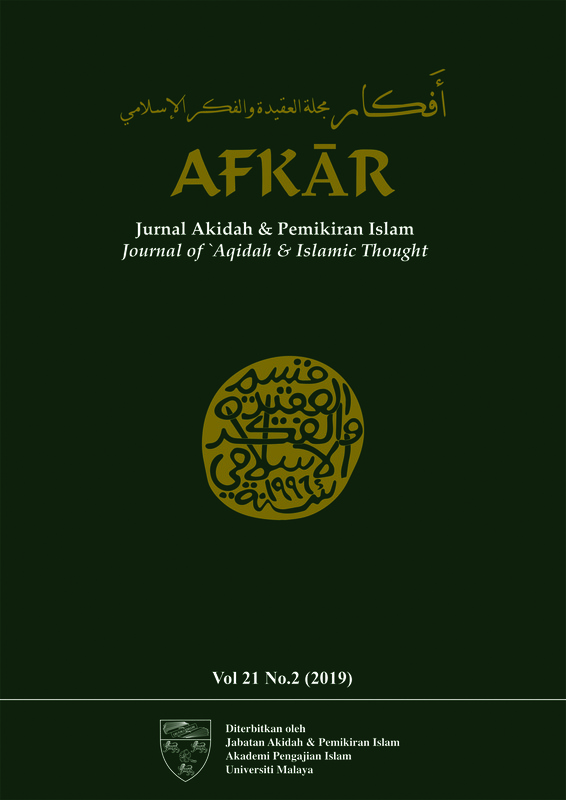 AFKAR - Journal of 'Aqidah & Islamic Thought is an international peer reviewed journal published twice a year by the Department of `Aqidah and Islamic Thought, Academy of Islamic Studies, University of Malaya, Kuala Lumpur. It publishes articles and research papers concerning `aqidah and Islamic thought, particularly Kalam, philosophy, Tasawwuf, comparative religions, logic and Islamic thought in the Malay World in Malay, English and Arabic. مجلة أفكار هي مجلة علمية عالمية محكمة سنوية يصدرها قسم العقيدة والفكر الإسلامي بأكاديمية الدراسات الإسلامية، جامعة ملايا بكوالا لمبور. تنشر المجلة المقالات والدراسات العلمية المتخصصة بالملايووية والإنجليزية والعربية في المجالات المتعلقة بالعقيدة والفكر الإسلامي خاصة في علم الكلام والفلسفة والتصوف ومقارنة الأديان والمنطق، كما أنها تهتم بالقضايا المتعلقة بالفكر الإسلامي في عالم الملايو. 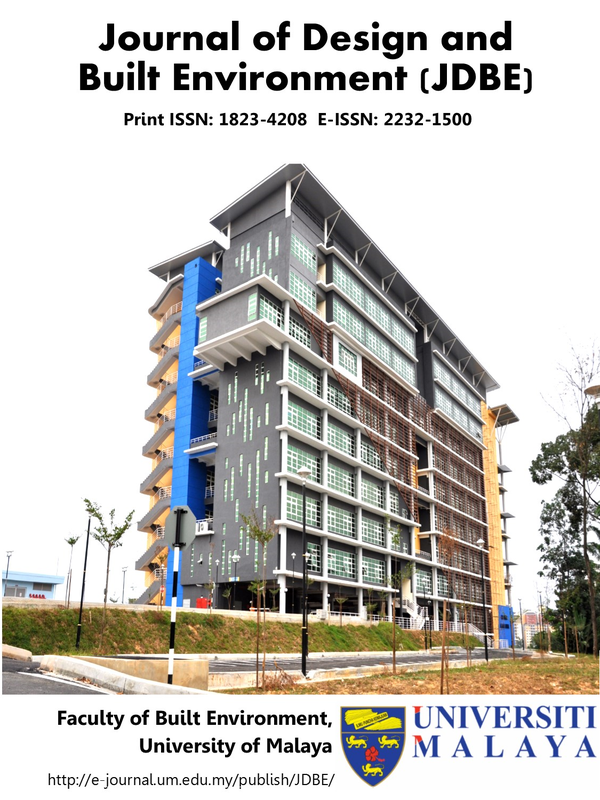 The Journal of Design and Built Environment (JDBE) is a SCOPUS-indexed and free open access publication by the Faculty of Built Environment, University of Malaya. Published biannually, JDBE usually contains four academic papers of wide-ranging topics reporting on issues in the built environment, i.e. architecture and design including landscape architecture, urban and regional planning and studies, building and quantity surveys and real estate studies and management. To provide and support up-to-date, quality ICT facilities to fulfill customer's requirements.